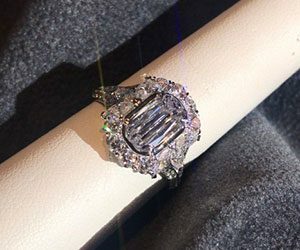 Our store has always been dedicated to bringing our customers unique jewelry pieces from the finest jewelry designers, ever since William Preusser founded Presser Jewelers in 1850. We are proud to continue that tradition by featuring rings from the Christopher Designs L’Amour Crisscut collection. Christopher Designs L’Amour Collection offers beautiful and brilliant diamond jewelry. This collection is available in 18Kt white gold and platinum, featuring the classic L’Amour diamonds at the center. Christopher Slowinski cuts these diamonds in New York using a patented technique. 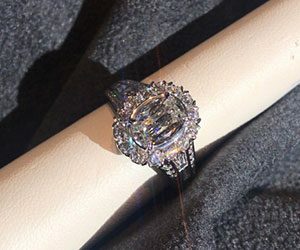 His designs can be made with many different sizes of diamonds for the center, and in his special L’Amour shapes…oval, cushion, pear, and the original L’Amour. The L’Amour diamond’s beauty and simplicity is a design masterpiece. Its distinctive design features 50 facets and two straight sides with subtle curvatures at the top and bottom that create a brilliant reflection unlike any other. 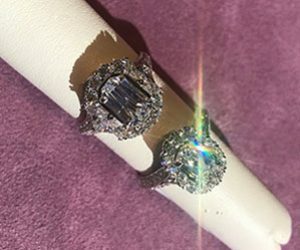 L’Amour Designs are available in a range of sizes and styles with sizing 40 to 50 percent larger than comparable emerald-cut diamonds. 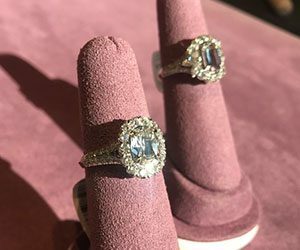 These rings make a powerful and luxurious statement, for customers who are seeking a bold yet romantic piece of jewelry that is modern and yet classic. L’Amour diamond rings offer exceptional value for their size. Explore the L’Amour Crisscut Collection online and contact us to see what we have available. We will be happy to help you find the perfect piece of jewelry to mark any special occasion. We can special order any Christopher Designs piece you’d like. 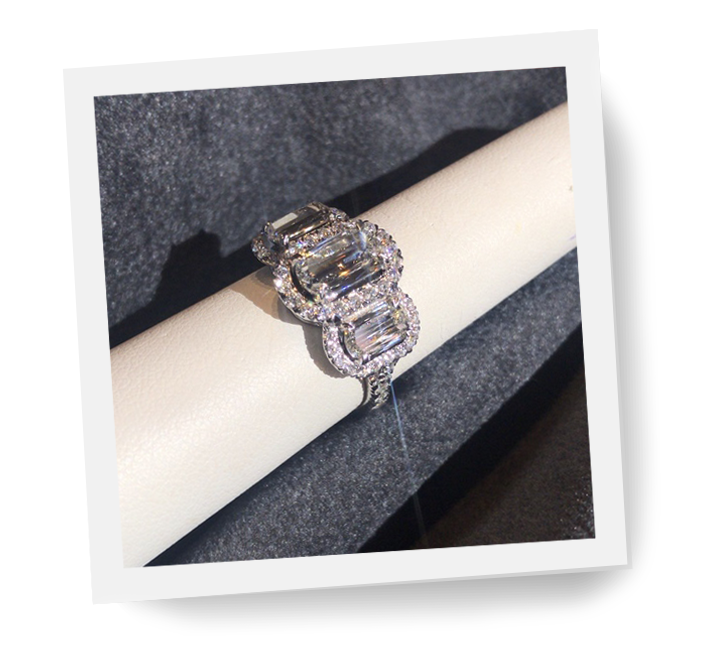 Come into Preusser Jewelers and view our full assortment of designer collections. We are located on the southwest corner of Ottawa and Pearl, inside the historic Ledyard Building, conveniently located in downtown Grand Rapids and easily accessible from both major expressways. We serve customers from all over the state, including Forest Hills, Wyoming, Ann Arbor, and Detroit. Leave us a message or send an email and we’ll get back to you.